Bournemouth continue to maintain their lead at the top of English Championship standing after snatching a slender away win over Reading last midweek. Playing away from home didn't stop Bournemouth from putting on an attacking display as they were determined in grabbing all three points. The visitor made a really bright start on that match as they went one goal up after just four minutes of play through Callum Wilson's effort. Reading tried hard to get back into the match afterwards, creating a very tight encounter between them. In the second half, that match continue to look tight as both were keen on grabbing more goals. However, until the final whistle was blown, no changes happened in the score board as Bournemouth holding on into their slender lead and came away with all three points. Reading vs AFC Bournemouth . Score: 0-1. 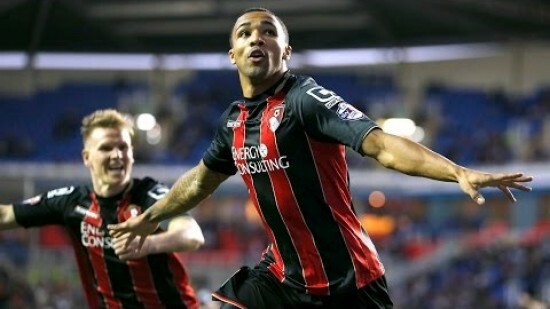 AFC Bournemouth 0-1: Callum Wilson goal (4').